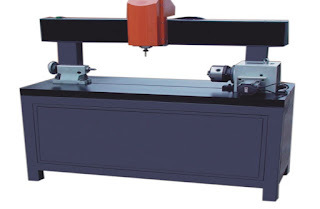 im cnc router manufacturer : Is the overheat of woodworking CNC Router motor a normal phenomenon? Is the overheat of woodworking CNC Router motor a normal phenomenon? Note: motor heating generally does not affect the life of the motor, for most customers do not have to worry too much. However, serious fever will bring some negative effects. If the thermal expansion coefficient of each part of the motor is different, the change of the structure stress and the tiny change of the internal air gap will affect the dynamic response of the motor. In some cases, there is no excessive heat, such as medical equipment and high precision testing equipment, etc.. So it is necessary to control the heating of the motor. When the motor temperature is too high, you can choose the CNC Router (http://www.roc-tech.com/product/product34.html ) to stop, rest for a period of time to continue to work, you can also add the motor outside the heat sink to ensure that the heat of the motor in a timely manner. With the improvement of the performance and stability of the stepping motor, it is widely used in some motion controller. Its application in woodworking CNC Router industry is the most. Due to its internal structure is composed of iron core and windings, so it in a power on state will produce a certain quantity of heat, work for a long time, even a bit hot. To what extent the motor is normal, how to reduce the heat generated by the motor? Here we have a simple solution. The temperature range of motor heating mainly depends on the insulation level of the motor. Under normal circumstances, the internal insulation performance at high temperature (above 130 degrees) will be destroyed. So as long as the internal no more than 130 degrees, the motor will not be damaged, and then the surface temperature will be below 90 degrees. Therefore, the stepper motor surface temperature in 70-80 degrees are normal. Simple method of temperature measurement point to the usefulness of the temperature meter, also can judge roughly: by hand can touch more than 1-2 seconds, no more than 60 degrees; hand can touch, about 70-80 degrees; a few drops of water dripping rapidly gasification, 90 degrees above the.